Hodson's Grave in Lucknow. 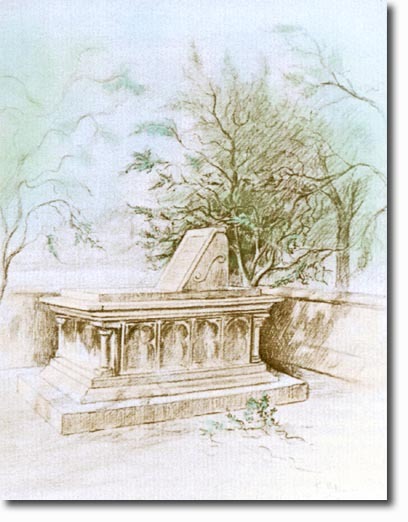 The monument has an inscription that reads: 'Here lies all that could die of William Stephen Raikes Hodson.' This drawing was taken from a sketch by Captain CFL Stevens MC of Hodson's Horse.